THE CTC MISSION IS TO PROVIDE HUMAN AND FINANCIAL RESOURCES THAT WILL IMPROVE THE QUALITY OF LIFE IN THE COMMUNITIES WE SERVE AND WHERE WE LIVE. CTC seeks to define, develop, and communicate its Commitment To Community service. CTC will sponsor and support projects and programs that improve the quality of life in the communities we serve, and where we live and work. CTC is committed to community relations through the application of financial and human resources. CTC will support nonprofit, charitable organizations. Our areas of focus are Education, Health, and Human Care Services. We will work with nonprofit charitable organizations to maintain or improve the quality of life in the community and address specific community needs. CTC believes life-long learning is an important component in our corporate culture and that a strong healthy educational system is essential to the quality of community life. Therefore, we place high priority on contributions in this area. We support Scholarships for academic excellence in education, Enrichment and mentoring programs that provide academic, social and cultural activities for healthy and responsible lifestyles, Public and private education, Programs that encourage parent involvement, and help students stay in school, Programs that focus on the use of technology in the classroom, and Partnerships supporting student retention, and job training/retraining programs. CTC supports organizations that meet health and human care needs for the community. CTC supports organizations that help people become self-sufficient, help strengthen the family, encourage economic and neighborhood development, and enhance the quality of life through civic involvement. Manufacturing Day is a celebration of modern manufacturing meant to inspire the next generation of manufacturers. 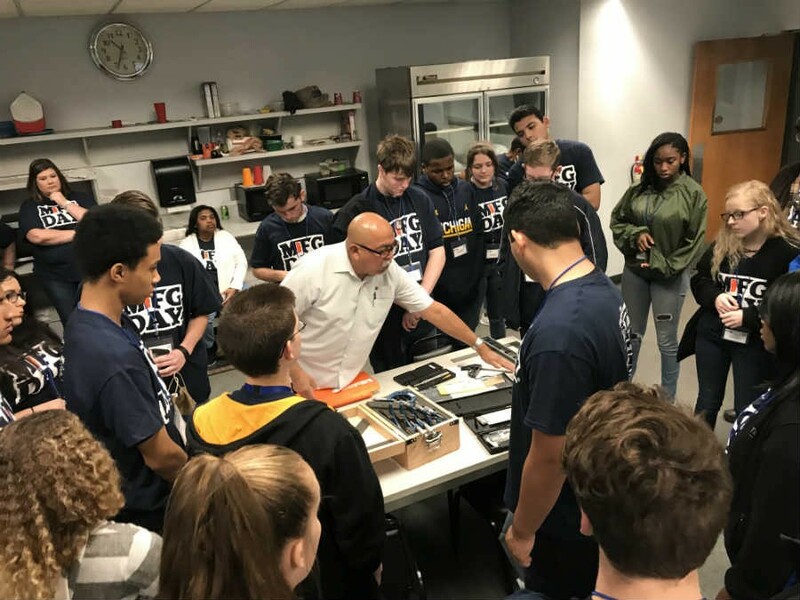 Every year, thousands of manufacturers around the country open their doors to inspire young people in helping them pursue careers in manufacturing and engineering. Manufacturing Day is a celebration of modern manufacturing meant to inspire the next generation of manufacturers. It is an incredible opportunity to showcase the amazing work manufacturers do on a daily basis, educate students, teachers, community members, and parents to show how integral STEM courses (Science, Technology, Engineering and Math) are in manufacturing industry to contribute in today’s economy. DMW volunteered this year to participate in this great achievement. 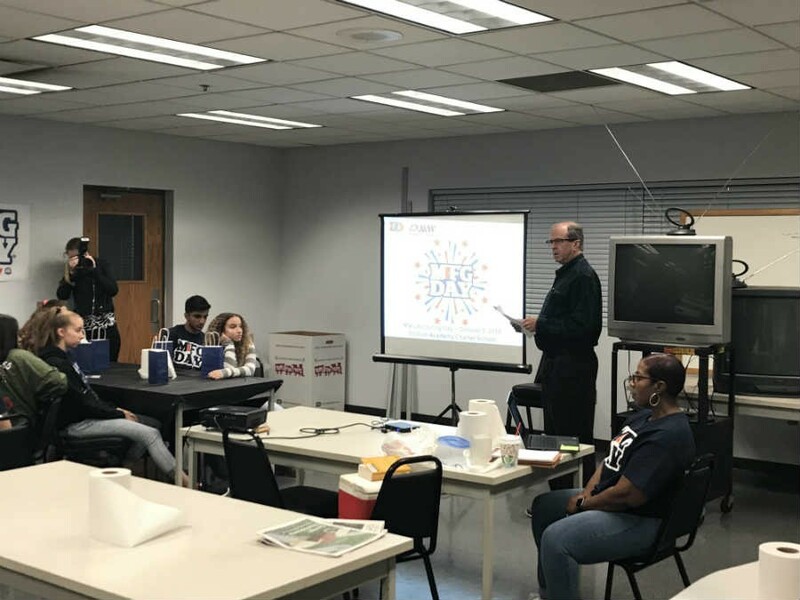 Thirty inspired students along with faculty from a Detroit High School arrived at DMW to walk through the day to day manufacturing process. 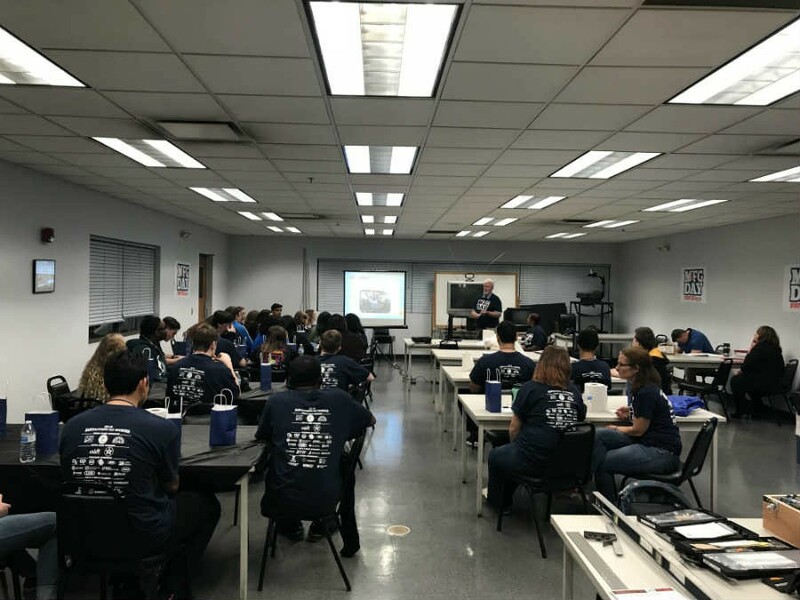 DMW Taylor fabrication shop was set up to demonstrate practical examples of automotive assembly plant conveyor products and equipments, Students were guided with professionals through product fabrication processes from raw steel to finished product ready for shipping. They all showed great interest in the tour with many questions. They were also treated to a tour through our engineering department. After a brief lunch we broke them out into ten teams of three to build a mini version of a flat top belt conveyor made from foam board. They had to reverse engineer from a prototype constructed by Al Chaffin (Plant Manager). Larry Cosme (Quality Control Manager) selected one student to work with him in the Quality Process. The students were highly engaged in this practical assignment. Their minds were deep into critical thinking, problem solving and applied physics. In the end Larry and his QA student did final inspections. All conveyors matched the prototype, ran and were approved. The students really enjoyed their day at DMW and have asked to come back next year. It was an honor and pleasure to host such a great learning experience for our future Manufacturing generation. Fill out this form and donate today. Requests will be reviewed and voted on at the next scheduled board meeting. You may contact me to discuss comments or suggestions.